They need to be worst tho..... There is literally nothing we can do to them. This isn't the first time this question is asked, and the answer, if you play solo DE, is : nothing. If you take other Eldars, then Windriders, Harlequins, etc. might do the trick. Every army would need a kind of weapon that deal 1 hit per model of the targetted unit, undependantly of the size of the unit. A kind of a template, but without the pain of placing the template and debating weather the model is hit or not. I think 1st rank 2nd rank fire is OP for the points cost and it also makes no sense. Even if the conscript are less deadly, they still are unkilleable. He is saying the orders are also flawed, and i agree. Don't even try to compete with the IG. 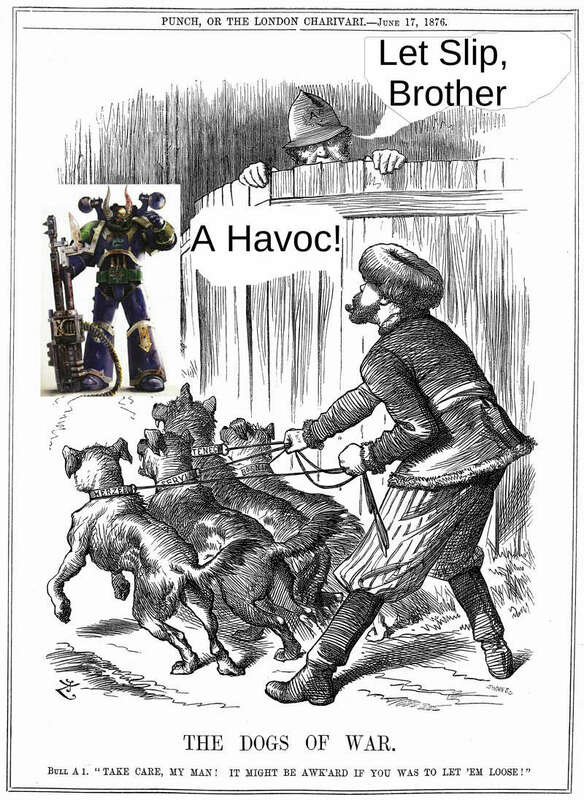 The IG is playing no Wh40k but another game. Is simply broken, there's no much to say...just avoid it until the new Codex will going out. Seriously, the IG is the only bug of the 40k right now. It has mass shooting, heavy shooting, plasma, the best body count, deep strike (so good timing for striking), board control, objective control, morale immunity. It is just broken. But I'm not whining, it's just a mistake from gw, she will fix them soon with the new Astra Militarum Codex. Until now just don't play against a fully competitive IG list, that's all. So, other than the IG, we have enough anti-infantry guns in the index. I managed an orks horde list pretty well. Ravager and Razorwings with Dissy cannons helps. Multiple CC units. MULTIPLE of them, not just 1-2. Beasts are great, embarked units are nice as well too. Together is better. Don't bring too much Dark Lances, you don't need them so much. I'm actually playing without theme and I don't feel theme missing. CF, Hellions and Dissies crushing veichles as well. But the best advice against and horde is the POSITIONING. How to engage it is the key, engage it wrong and you will lose in turn 2. You need to calculate the amount of damage he can bring to you against any of your unit, and engage one side with all of your army. Spread him, cut part of his army out from the game. Try to engage the side with the highest shooting weapon range, or distant charge range. Anything lesser than 18" (sometimes even 24") that is in the right flank will not be able to join immediately in the left side, where you're engaging. That is basically the thought: make your engage in the way that the far part of the enemy army will not be able to engage you in 1 turn. If some rapid fire guns are not able to shoot in half of their range, GOOD! If any unit will need to attempt an 9-12" charge, GOOD! if there's a cover that will cover you (physically, cutting the los) any of your unit during the engage, GOOD! Oh and remember: spread your objectives on the board, in the corners or near to the edges of the table. You're fast enought to redeploy, he is not. Deploy your fliers in one empty side during the deploy, make a bait: then turn 90" and fly in the other side. Your fast enought to redeploy, he is not. Those are all good advices that works for me. You pay 20 points for a guy to give 40 points of guys a bit better shooting. Is this good yes clearly, and maybe a small price increase would be ok. But since all the special/heavy weapons do not benefit from it, it should be way less then 40 points (which it would cost to buy another squad). I think 50% of a unit cost to increase it's shooting by roughly 90% (the champ has a pistol and it will drop lower when the unit is given special weapons), is roughly where it should be. People here discussed splinter racks on raiders for a similar price (and our shooting is better) the first rank second rank is not the real issue, for most units it is fine. The problem is that it also works for conscripts which are not limited to 10 man squads. Splinter racks only does that. It's literally a shooting-increaser. So his price should be : (price of every oder)/(nb of orders-1)+value of being an HQ (so the minimal price for a HQ that brings nothing to the game)+price of his profile (very low, but still a value. Well that is the point isn't it? That Orders can be abused and made OP because a 30 point Commander can give orders to two units of 50 Conscripts giving them 400 shots in rapid fire range. A Company Commander giving orders to 20 Guardsmen isn't the problem. The main problem is that Conscripts are meant to be nothing more than a meat shield. 100 guys means 100 wounds but offensively they are no real threat...but for 30 points you can turn them into more than a meat shield. You can turn them into twice the threat. So 100 Conscripts is 300 points and for 30 points you can double their offensive threat. Can you imagine two ravagers being allowed to fire twice per turn for an additional 30 points? The Commander is a Character so he can't be targeted. When compared to the potential benefit of Splinter Racks, which can only benefit 10 models max and can be targeted and brought down at any point, there really is no comparison. I will just add that even with all that said...it feels like as we have discussed this issue, that the main complaint is that they are immune to morale. Because a blob that gets heavily targeted would normally suffer heavily in the morale phase but these guys don't. 45 attacks, 40 hits, 27 wounds, 18 dead conscripts. Blob of remaining 32 attacks back, 11 hits, 4 wounds, ~3 die. Conscripts suffer 1 more in morale. Next turn, conscripts cause 3 more casualties attacking first on that players turn. Remaining 9 beasts cause 24 hits, 16 wounds, ~10 more dead conscripts. 22 Conscripts left, 7 hits, 2 wounds, 1 more dead. At this point, it beceomes a cleanup with the 8 remaining khymerea killing off about 10 more conscripts, and the conscripts lacking enough punch to really take more beasts down. In a protracted fight, khymerae seem to win, losing about half their number against an even points of conscripts in ~3 turns. HOWEVER I assumed that the khymerae got the charge unhurt, which they might. BUT if they eat a turn of lasguns they are basically wiped out. Also note that the conscripts just stayed there and threw punches rather than falling back, which would also change the results and probably place them all back in your models bin. New rule: Untrained Rabble: Conscripts are fresh recruits and too disorderly to benefit from orders. Points cost remains the same, still benefit from commissars. I'd personally go with only obeying orders on a 4+ but Commissars have no effect - you've just seen 20 of your mates shot/stabbed/eaten and for some reason you're more scared of some guy in a hat who's just killed one person?! 5+ save is fair, I don't think its unreasonable as its standard equipment being handed out. Put it like this...you have just dropped 15 in the shooting phase. They have a Morale of 4. They will lose an additional 12 minimum by default in the Morale phase am I right? 15 dead - 4LD + 1D6 = 12 to 17 more dead. So for sure let them use the morale of the nearby character rather than the 4LD but making them immune is pants. They will kill a further 4-5 Khymerae in combat. You will lose on average 7 Khymerae to a combination of both overwatch and assault. Using the Beast Masters LD you will lose a further D6 Khymerae and the Conscripts will lose 1. They have just killed 70 points of yours while losing only 33 points of Conscripts. Even without the get back into the fight order or what ever it is, simply falling back and letting you charge again and eating more overwatch...they win. This is assuming all the IG get to fight back in combat. Also, assuming a 50 blob can all fight in combat is not realistic. And if you sponge the overwatch with, say, CFiends, then the math is in your favor. You can't assume that everything is in the IG favor, else your maths are biased. If you are the one engaging them, there is no way for them to assault with the entire 50 guards. You will always engage one end of their line, and not the middle, because you're a DE player and you know how to play this game. Right but for 120pts (then you have the Beast master) that is melee, without a transport, killing 54pts (if you get them all in melee). That honestly seems.... really bad lol. If those 120+BM was with a Wych squad... maybe it would work better. If you get there. as requested Khymerae alone deal 0.89 wounds per combat, 1.185 wounds with a beastmaster nearby. Putting Khymerae as the winners of the most killy to GEQ in not only the worst case/standard scenario, but best case as well. I'm thinking I'll run the stats for survival for our units against GEQ as well, and then compile a (Points/wounds) * (Lasguns/wound taken). I'll be interested to see how this stacks up and what it says about how much work they put into balancing the game/codex/index/has MathHammer gone too far? Killing 50% of your cost is definitly not bad. It means you need 2 phases to pay off. Considering were's talking about the most meta unit in the game, earning 50% of yours points back in one turn is definitly good, and i think it's the best resultat our army can achieve. Now of course this is nowhere near being OP or a hard counter. But as stated before, i think it's our best answer, as we DO NOT have a counter for conscripts. If LG was cheaper and Grots either cheaper or more attacks, i would use them.